But what do those projects actually look like? Courtbot gives residents easy-to-understand information about resolving citations and timely reminders about upcoming court dates. ReEntry Resources Hub is a website providing high-quality information and resources to residents reentering society after a period of incarceration, as well as those dealing with the consequences of a previous conviction. Housing Insights assembles essential information on subsidized affordable housing and connects it to relevant outside data, to support the work of the affordable housing community and decision makers. 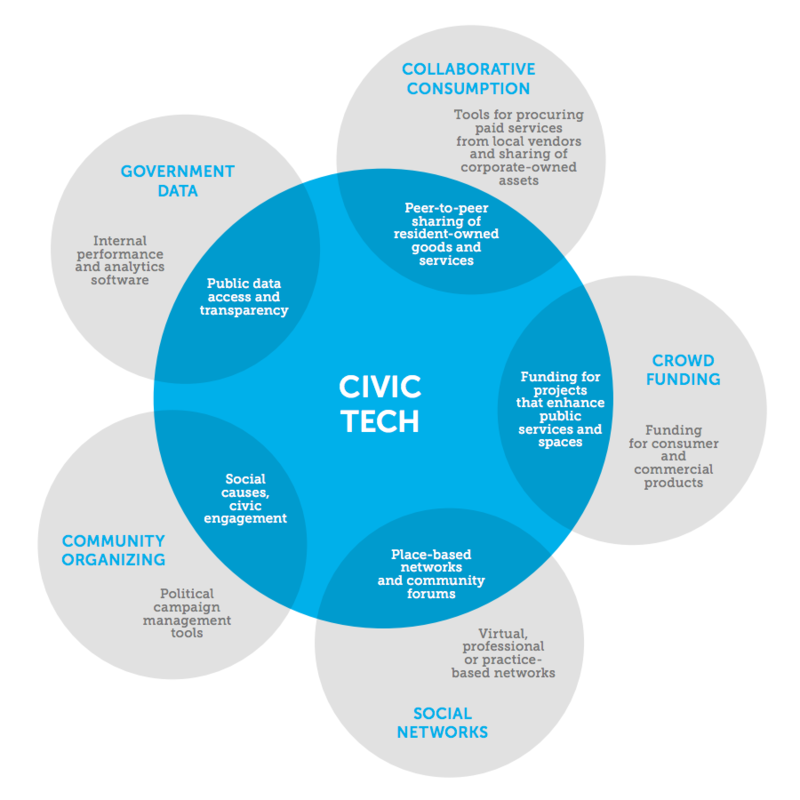 Technology for Good – or "Civic Tech"
The Knight Foundation classifies 'civic tech' as intersectional in nature. So you want to reform democracy? We build open source technology and organize a network of people dedicated to making government services simple, effective, and easy to use. We build civic applications by advocating for Open Data policies and access that then empower residents to put data into new civic use-cases. We leverage technology as a tool to connect citizens with community resources and each other. These connections empower citizen-driven solutions to problems previously addressed only by top-down approaches. New forms of civic engagement help governments do more with less and enhance the effectiveness and efficiency of public services.